The Outfit System allows you to completely tailor the appearance of your gear, regardless of what your character is currently wearing. In this basics guide, you'll learn everything you need to know about how to create your own custom look in the Elder Scrolls Online! To get ready for the Update 17, maybe you want to buy some Elder Scrolls Online Gold beforehand. In that case, I recommend you a safe and efficient ESO Gold seller, MmoGah.com. MmoGah is ranked No. 1 during searching “ESO Gold” or “buy ESO Gold” in Google. Why not just have a try? Read on to learn more! Outfit Stations! With Update 17, all Dye Stations will be upgraded to Outfit Stations. 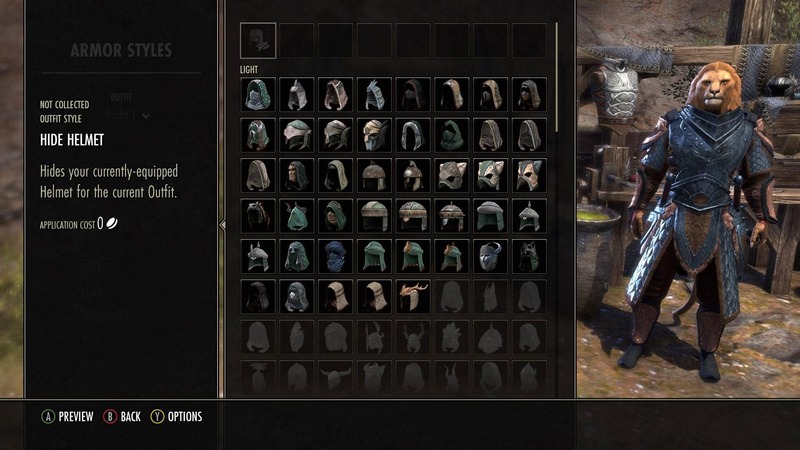 This means any Dye Stations previously found in Tamriel (whether they be in the world or your home) have been converted, and you'll be able to use them to both dye your gear and create Outfits. To get started, simply use the Outfit Station and select “Outfit 1" from the Select Outfit option. It is possible to get additional Outfits after the first – more on that later in this guide. It's a little like equipping gear. To customize a specific gear slot, select the slot from under the Armor Styles or Weapon Styles categories to see all of your available options. As you select options for different slots, you'll see how they'll look on your character. Note that you are not actually modifying your items, but overriding the appearance of each individual slot. To help you manage all your available options, you can use the filters to only show Light, Medium, or Heavy items, and you can toggle Show Locked on or off to view or hide styles you don't currently own. You can also use the Filter By option to filter by specific keywords. When customizing your character, you are able to preview any of the different Outfit Styles, but you won't be able to apply them if you don't own them first. Once you're happy with all the different options, select Apply Changes to save your Outfit. 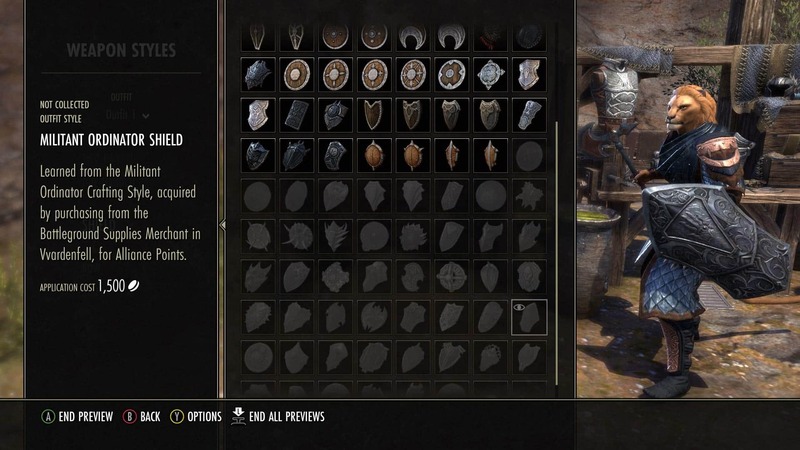 As an alternative to gold, you can buy Outfit Change Tokens from the Crown Store. A single Outfit Change Token covers the cost of an entire Outfit change (not a single slot), regardless of the slots you're customizing or the rarity of the styles you're applying. If you're using an Outfit Change Token, be sure to make the most out of it! You can't make your bow look like a two-handed sword, and you can't – as hilarious as it would be – make your helm look like a boot! With the Outfit System, you can even dye your weapons, and there is a new set of dyes called “Materials" that are based off the traditional armor rank colors. These styles have been added to your Outfit Styles and can be applied at the Outfit Station. Note that you do not have to pay to apply these styles like you would when typically crafting an Outfit. You'll notice that their application cost is “0". With the Outfit System, you're able to give your champion the custom look you've always dreamed of. We can't wait to see all the creative designs that the ESO community comes up with. 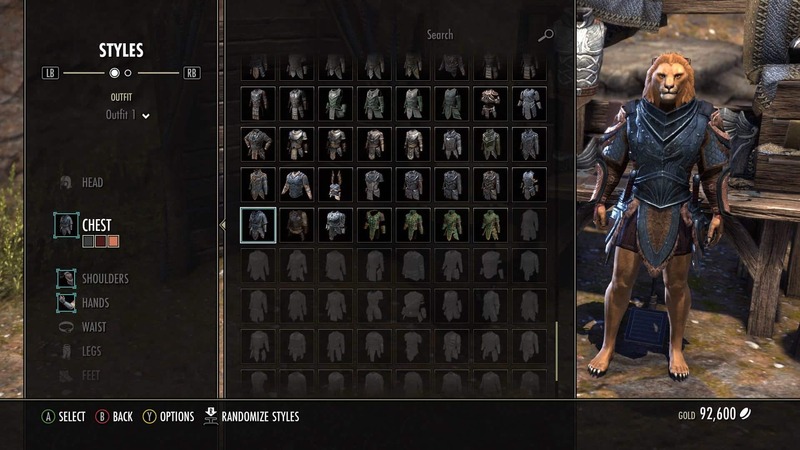 The Outfit System will be available for all ESO players as part of Update 17 this February.